It’s 6 p.m. on a recent Friday at Buffalo RiverWorks, one hour before the Saucies take on the Alley Kats in the fifth game of the 2019 Queen City Roller Girls season. Things are reasonably quiet — for now. The will-call line is light, the concession queue is nonexistent, the merchandise stand is uncrowded. David Bowie’s “Fame” is barely audible in the background. Players can be seen entering RiverWorks, backpacks and skates slung over shoulders. Referees in striped shirts and dark helmets are milling about while a few fans choose their seats. The flat roller derby track is empty underneath the enormous ceiling fan, and glistens brightly as sunshine streams through the windows. At 7 p.m., RiverWorks erupts with energy. The stands are packed now with fans of all ages, from toddlers and tweens to college students and seniors. Some are dressed for the occasion. A father and daughter wear matching Shevel Knievel T-shirts and an Alley Kats devotee is made up as a whiskered cat. An announcer reads the lineups — player-chosen names include karsmashian (with a lower-case “k”) and Mick Dagger — as skaters on the red-and-yellow-clad Saucies and the green-and-purple-attired Alley Kats fly around the track. For many locally, winter and spring Fridays (and occasional Saturdays) mean roller derby at RiverWorks. 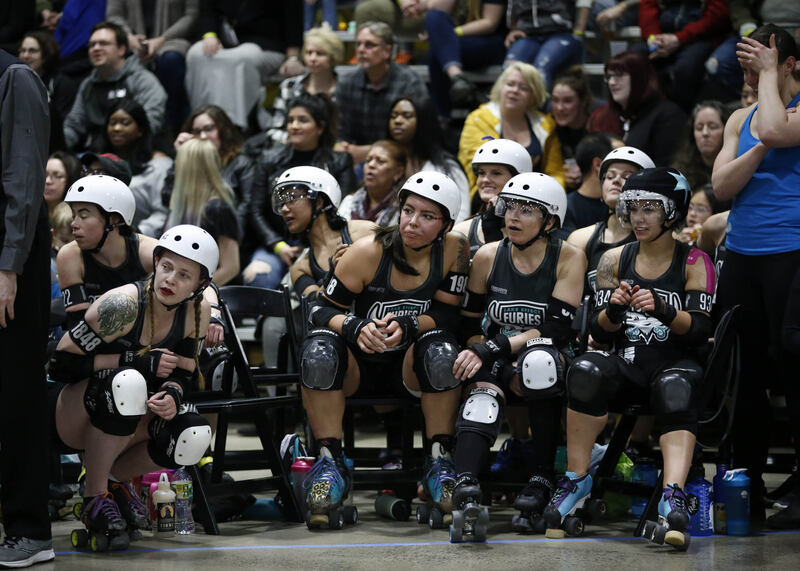 Now in its 13th season, the league is comprised of three home teams (the Alley Kats, the Devil Dollies, and the Saucies), a top-25 ranked travel team (the Lake Effect Furies), a travel “B” team (the Subzero Sirens), and a juniors league for ages 11 to 17. QCRG has earned magazine covers, name recognition and a devoted following. 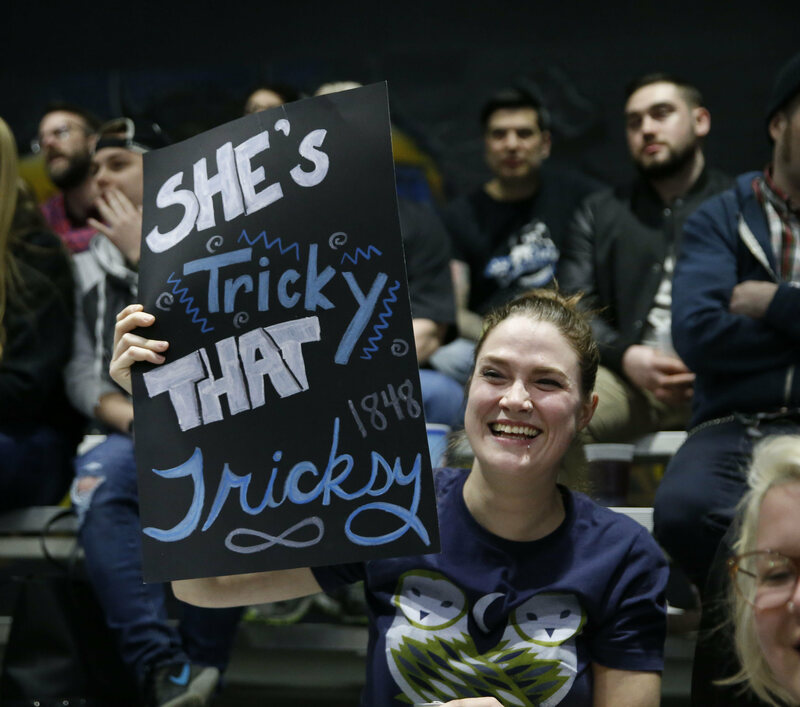 It is a member of the WFTDA (Women’s Flat Track Derby Association), an international governing body of women’s flat track roller derby representing more than 450 member and apprentice leagues. On May 11, QCRG reaches a milestone, as the Furies play the team’s 100th sanctioned game (these are games that count toward the team’s international ranking). 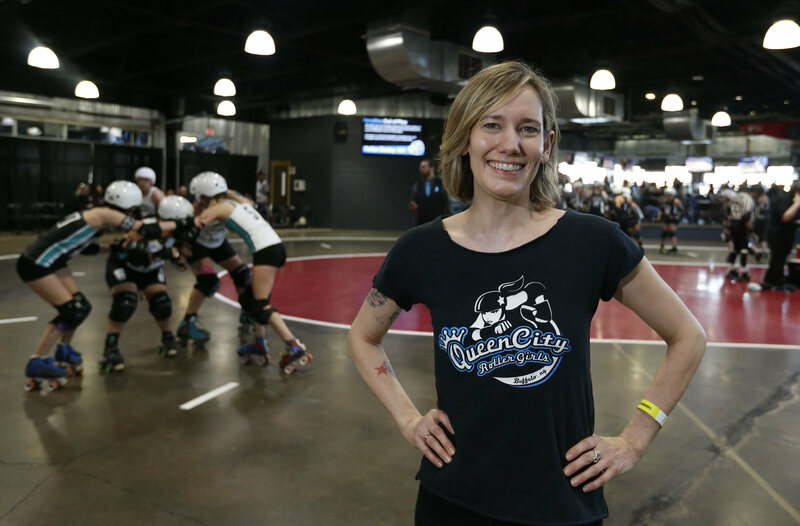 “It’s a dream come true,” said QCRG co-founder Debra Hughes, a player-turned-referee who goes by the name Sissy Fit. For the players and league enthusiasts, there is nothing in Buffalo quite like the QCRG experience. The next step — after Hughes learned how to skate — was grassroots player recruitment. Then, after contacting local rinks, she received an OK from Rainbow Rink in North Tonawanda. The popularity of the league at Rainbow Rink meant a larger space was eventually needed. 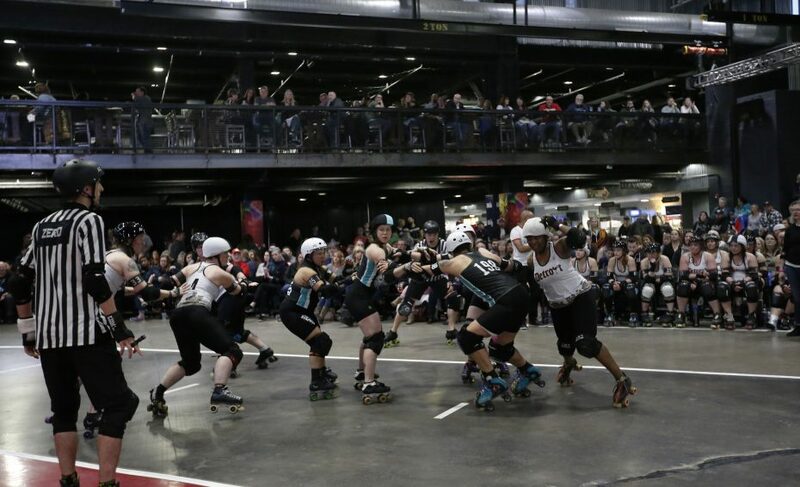 QCRG began playing at RiverWorks in 2015, and was the first roller derby league in the nation to have its own specifically constructed venue. RiverWorks offered stadium-style bleacher seating for thousands, VIP tables, dedicated locker rooms and a permanent track. 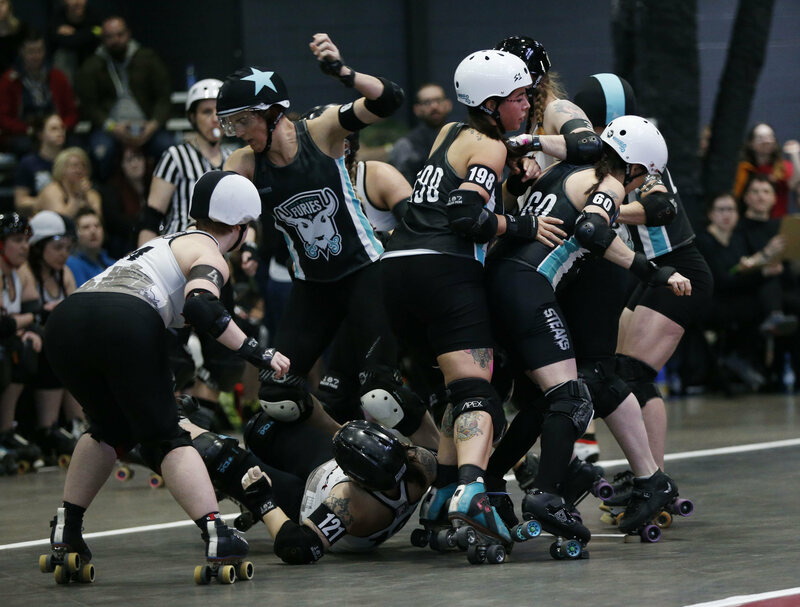 Although QCRG continues to grow in size and popularity, there remains many misconceptions about the sport, especially among those familiar with old-school roller derby. The league teaches the rules during games and volunteer ushers help explain the intricacies. 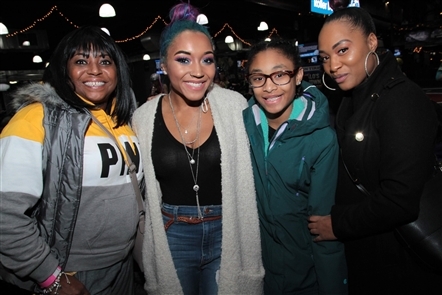 Furies co-coach Crystal Muzacz (Bricks Hit-House) said an understanding of the sport has greatly increased in Buffalo, and so has its level of respect. Tingco said she is constantly struck by the diversity of QCRG athletes — the size differences, the disparate life experiences, the range of careers. 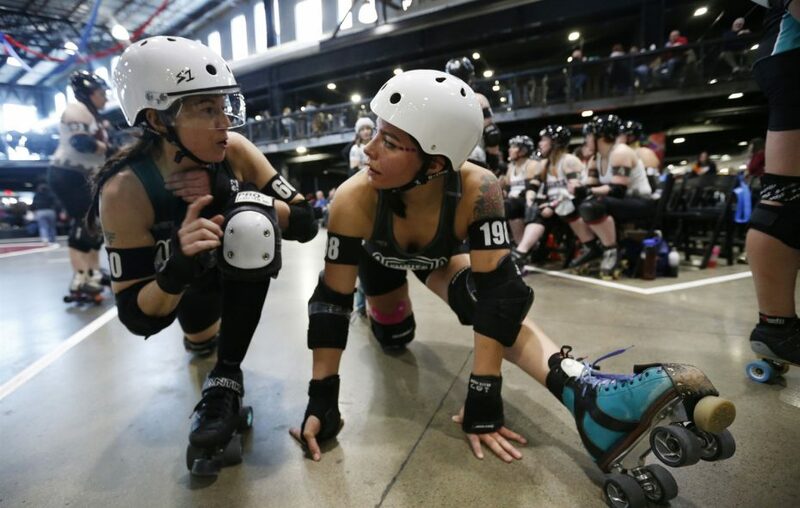 In fact, she said she doesn’t know everyone’s “human names — I only know their derby names.” But all are united by a love of the sport, and a respect for each other as athletes. The skaters are not paid. Rather, Thomas said, “everybody is doing it because they love it.” She said the sport requires real time and dedication. It also requires support from spouses, significant others and children. That unique closeness and sense of camaraderie is something the players and coaches want to ensure never fades, even as the league increases in popularity. “I’d like to see it grow but not lose the women-owned and women-run aspect of it,” Hughes said. Above all else, Muzacz said, QCRG is for its players and coaches — and it always will be. Home games are played at Buffalo RiverWorks, 359 Ganson St. Tickets are $15 general admission, $12 for students and military, $5 for ages under 12. VIP tables are also available. Doors and will call open one hour before the event. Riverworks has multiple bars, a restaurant and a second-level mezzanine overlooking the roller derby track. For info, visit buffaloriverworks.com and qcrg.net.